The progenitors of the modern smartphones, most of them had the displays with a diagonal of 3.5 inches, and that was enough for everything: gaming, surfing, and even working with documents. iPhone for a long time as the standard used 3.5 inch screen. 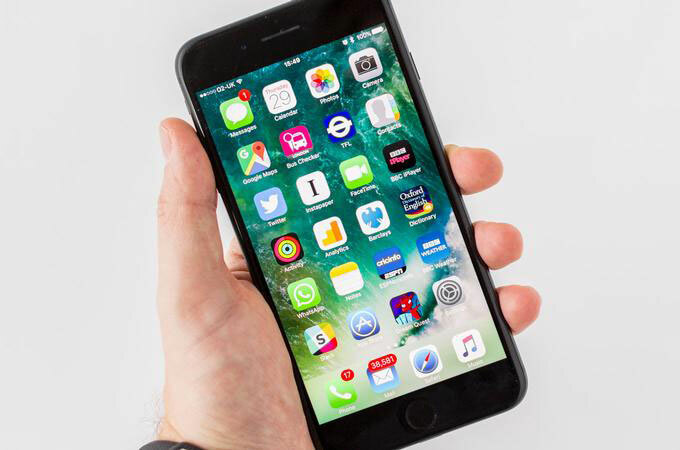 In 2012, a 4-inch iPhone, and two years later – a 4.7 – and 5.5-inch iPhone 6 and the iPhone 6 Plus. Since many consider the “large” iPhone uncomfortable. Although in most cases it’s just prejudice. As the experience of the browser Ferra, go with a compact smartphone 5.5-inch iPhone 7 Plus is not difficult and get a lot of advantages. I must confess: I could not decide on what to go for an iPhone with a 5.5-inch screen. I have always believed that anything is better iPhone 5s in principle can not be. Apple certainly could make a bigger, more powerful, stronger – as always, beautiful but the perfect balance is disturbed. Of course, I switched to the iPhone 6 then iPhone 6s, but the joy of working with them was much less than in the case of iPhone 5s. And then suddenly Apple releases iPhone SE which I immediately began to lick. But it turned out that for two years I managed to wean from a 4-inch display. First Desk seemed overwhelmed, and then began to stretch too small a font, and then I realized I can’t type on this keyboard. That is, the apparatus which a few years ago seemed the best smartphone in the world was not so good. And that’s when I first thought to the “iPhone plus” I’ll get used just as well. Plus I was seriously counting on the fact that getting a smartphone with a large screen, I can put a backpack iPad mini, which is used mainly for reading books and literally lighten the load. It’s been exactly a month since I first picked up the iPhone 7 Plus. The simplest problem in getting the larger screen and the rejection of the tablet worked, but I still can’t say that everyone is happy. Perhaps seven is the most controversial among all the iPhone. But first the good. Two of the most obvious and the most enjoyable acquisitions, large screen and large capacity battery. The past have a little iPhone battery capacity was too modest, but the overall situation was aggravated by the congenital defects. First, in my – very gentle mode it was discharged to zero after lunch. Second, in the cold (even if it’s only 5 degrees) the phone can switch off at 35% charge. One day unplugged at the crucial moment, I decided not to risk and to always carry powerbank. First brand, combined with the case, and then some – it turned out that to connect an external battery as needed easier than carrying in my pocket hunchback is a miracle. By the way, for iPhone 6 Plus and 6S Plus such accessories does not exist. At least this is what Apple itself offers. And all despite the fact that the larger iPhone there is no problem with autonomy. I have the iPhone 7 Plus to the end of the day is 20-30% charge. In games I almost do not play, but for a long time keep the screen on, reading books in iBooks. If you look even wider, we get an supercombo. First, I don’t need the iPad mini on the road. It turned out that the convenience of reading the difference between the 4.7 and 5.5-inch display is simply enormous. Secondly, I stopped to take a external battery. On the other scale is just a more cumbersome case. But given the emerging pros I don’t bother. The only thing of which I would be glad to be rid of is a horizontal mode on the desktop. The iPhone 7 Plus and the iPhone 6/6s Plus it works on both the iPad rotate case, screen changes orientation. On the tablet it can be handy, but 5.5 inches is not the case. The iPhone auto-rotate the desktop rather prevents. There is only one way to disable is to select enlarged (zoomed) picture mode in the settings menu, but in this case, the screen looks like switched to HD instead of Full HD. 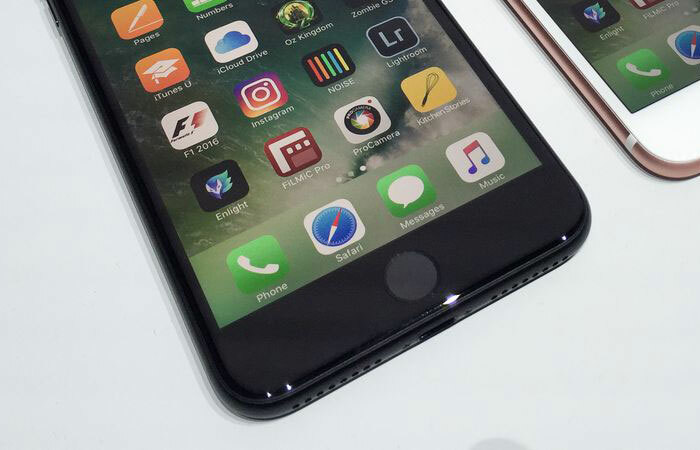 New Home button caused a lot of controversy immediately after the announcement of the iPhone 7, but in practice it turned out that all the warnings armchair analysts were empty words. I can’t even say that used quickly, because used to do not had. What is the end difference, is there a physical button or not, if the very mechanics of the interaction remained the same? The applied force – pushing a button – feel tactile response. Before the response was due to the physical keystroke, and now – by clicking the built-in Taptic Engine. It works as smoothly as the MacBook Pro trackpads. Another obvious fact: this approach allowed to make the case leakproof without any extra tweaks. A physical button would require additional gaskets. Besides, she probably would have remained the weakest point, because over time from frequent pressing of the density of the protective membranes could be reduced. Although, of course, I can’t absolutely talk about reliability after one month of work. In the world there have been several cases when Home button suddenly stopped working. Smartest iOS 10 “knew” that something is wrong and automatically displayed virtual Home button and a suggestion to contact the service center. A good solution, of course, but it would be better if the button is not out of order. However, the problem is not the same massive character as the explosiveness Galaxy Note 7. The lack of the usual audio jacks I initially reacted calmly, and all the cries and complaints wisely fell on deaf eyes and ears. The camera is perhaps the most important component in any smartphone. The smartphone has already become the most popular device for shooting, and separate cameras for Amateur purposes is no longer needed. 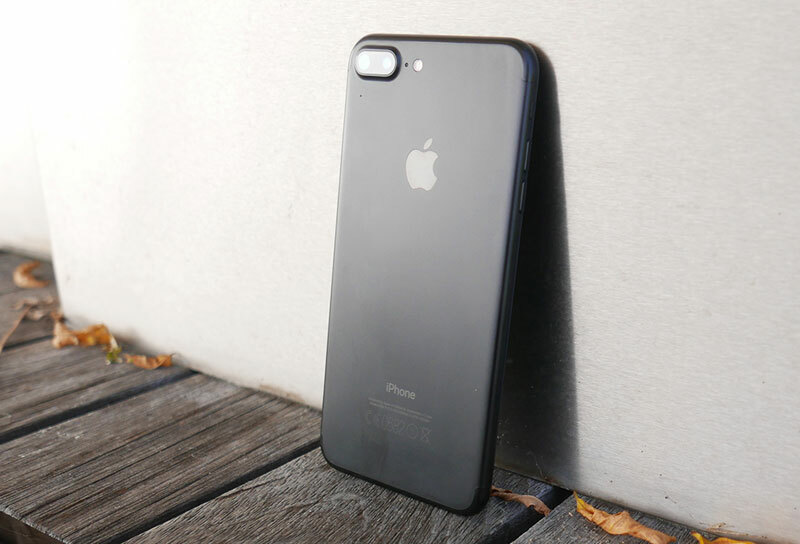 Camera iPhone 7 Plus behaves predictable and understandable, can not be said about smartphones Sony impressive technical characteristics, – this is its main advantage. 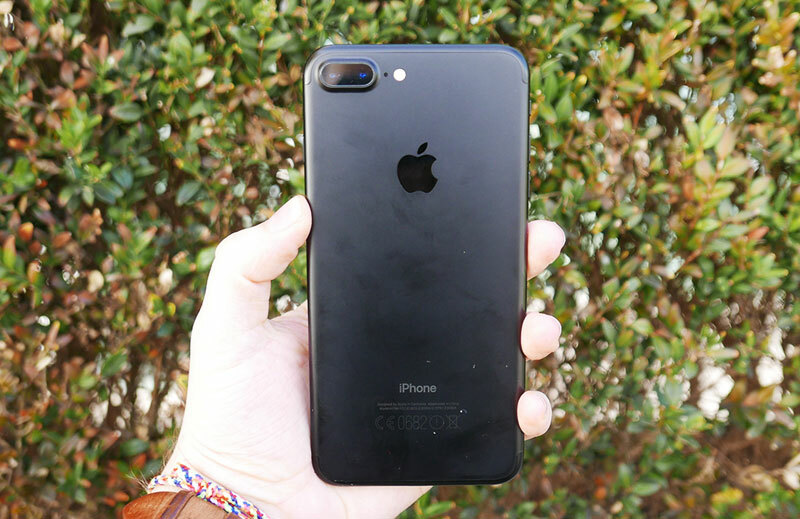 The iPhone 7 one camera rear, the iPhone 7 Plus – two. Again, this is not the first smartphone with this layout – was and Huawei P9, and Honor 8 and LG V20, but from the point of view of practical results Apple again ahead of all. One lens in the iPhone 7 Plus wide angle (28 mm), the other normal (56 mm). Thus switching between the first and the second chamber has allowed us to implement a full-fledged two-times zoom without loss of quality. However, here the company had to go to the trick. The fact that the second lens has a lower aperture (F2.8 vs F1.8), and hence to obtain a sufficiently short shutter speed requires more light. 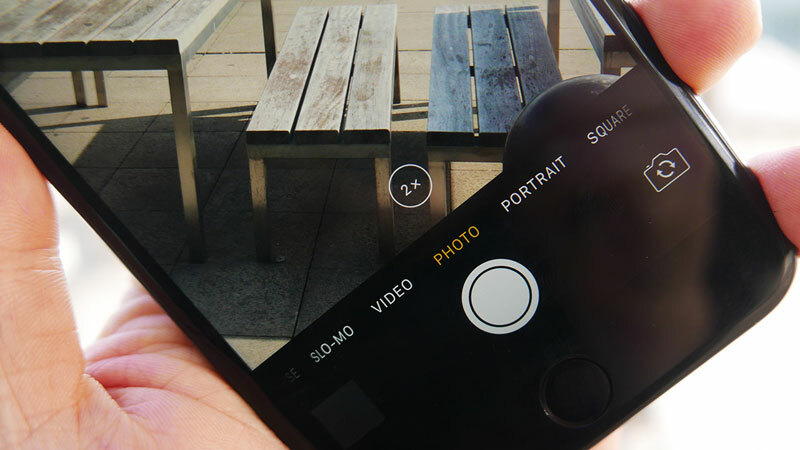 Therefore, in order to eliminate the possibility of blurry pictures (do not forget that the average iPhone owner has no idea) the iPhone includes a two-fold software zoom uses the camera first and not the second. I understand the logic of this approach, but it is still pretty despicable thing to those who though something understands in the pictures. In conclusion, I would like to make a joke about the fact that iPhone 7 Plus, which in itself is very expensive, in every way pushes you to additional costs. Music to iTunes or Apple Music, games, extra space in iCloud – it was before. And in the case of the iPhone 7 Plus I managed to be limited only to buy new jeans, with more capacious front pockets. 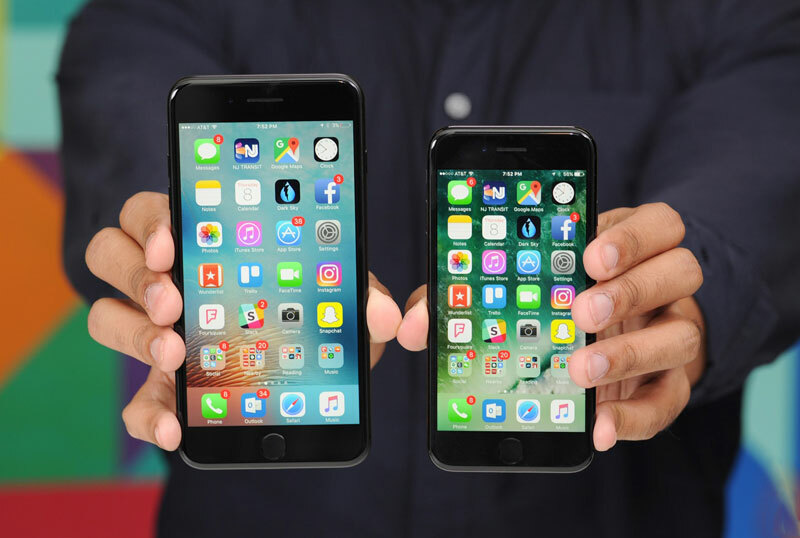 Those who can’t decide which of the two models of the iPhone 7 should choose, I can definitely say, take the iPhone 7 Plus. And this is best done in the US or in Hong Kong. 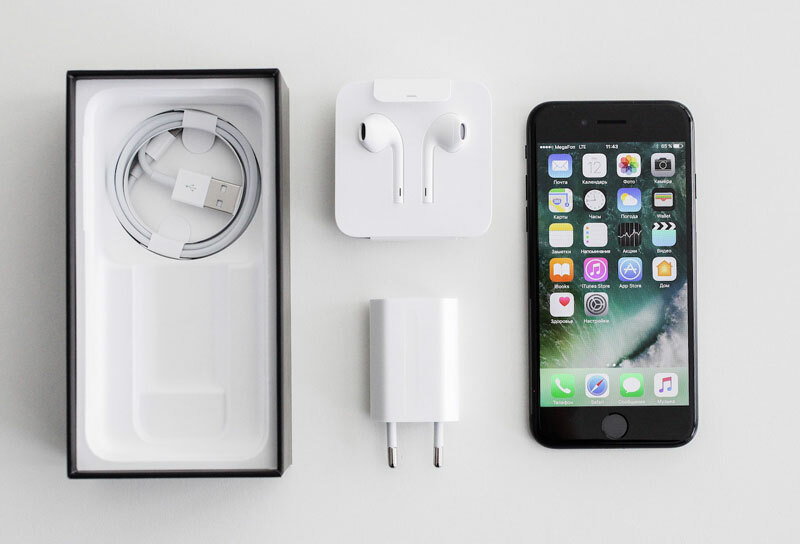 The Russian prices, as always, transcendental: the most affordable iPhone 7 will cost 56 990 rubles, and the most expensive iPhone 7 Plus – 85 990 rubles. But judging by the hype that’s going on in the first day of sales, high prices do not stop anyone. The little “seven” is available everywhere, but large (almost any country, including Russia) have to wait for 3-4 weeks.